What makes the difference? your dive leader! Diving in Bali is an amazing adventure. Live it with confidence and safety thanks to Baliberty. Bali is located in the heart of the richest marine biodiversity in the world. 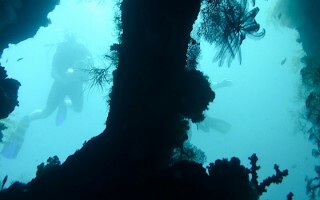 Diving in Bali offers many different dive sites. They’ll satisfy the hardest divers to please, beginners, as experienced. Each in his own taste, each in his own dive: depth, photo, wreck, drifting, wall, night, nitrox, shore or boat. fun dives for certified divers. 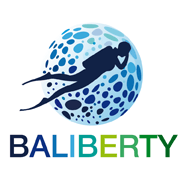 Diving in Bali in a safe way and as you wish! Your PADI Dive Instructors, will guide you into these awsome UW places. Whether or not you’re experienced diver, they will share their passion for scuba diving. Discover Scuba, 1st level PADI Open Water or specialty course? 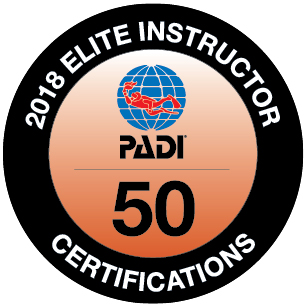 All PADI courses are taught in English with teaching material (book, vdo, …) in the greatest respect of safety standards. We are looking forward to meeting you, on the island of the gods, for the best diving in Bali. Never Dived? Try Scuba Diving, in 1 day! You dream about diving with Manta Rays. You want to experience a fantastic and strong feeling, merging with nature? 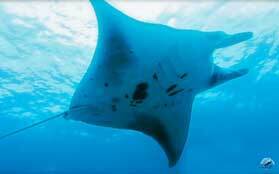 Visible all year long around Nusa Penida, Manta Rays will put a magic spell on you for an unforgettable emotion! You can’t enjoy Bali without diving one of the best wreck in the world! Only 20m shore located, the USAT Liberty Wreck is easy and awsome! Perfect for beginners as well as experienced divers. Underwater for 50 years, she is full of fishes and coralsnowadays. Ready for UW fireworks? If you dive in Bali from July till November, you can’t miss the bus: meeting the strange and fascinating sunfish. 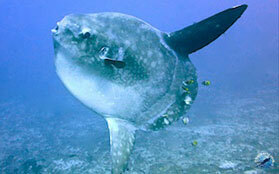 Getting close the “mola mola” is a great experience that you’ll never forget! Strong feelings warranted!